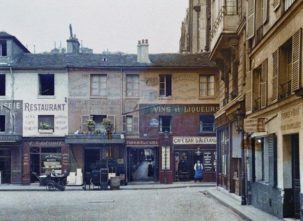 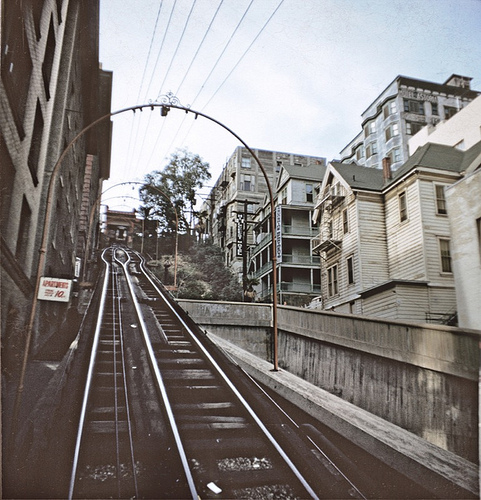 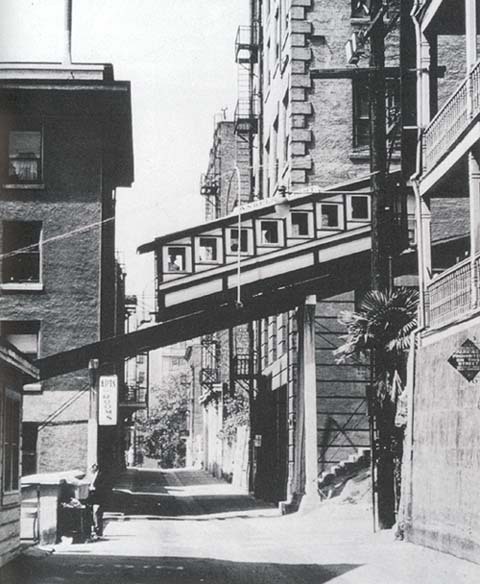 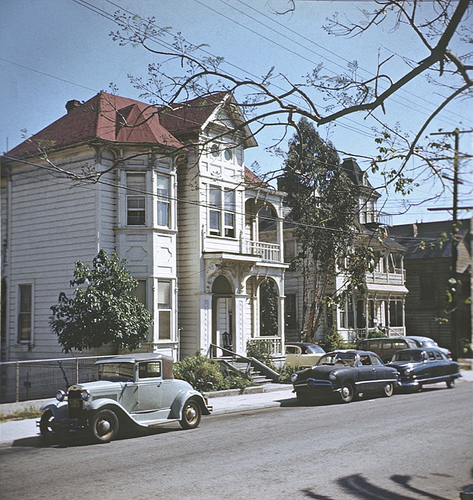 Despite once attracting high-income residents with its fashionable apartment buildings, Bunker Hill had become a working class lodging district by the 1920s. 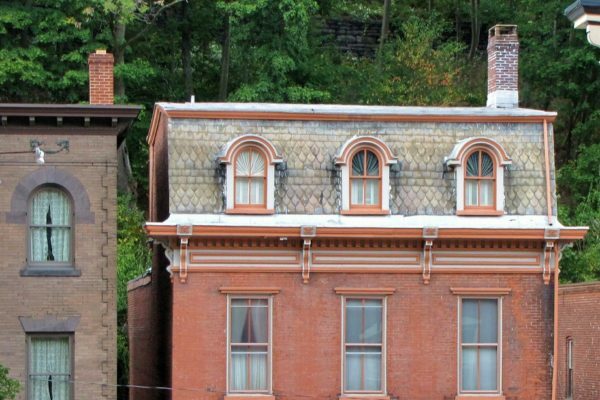 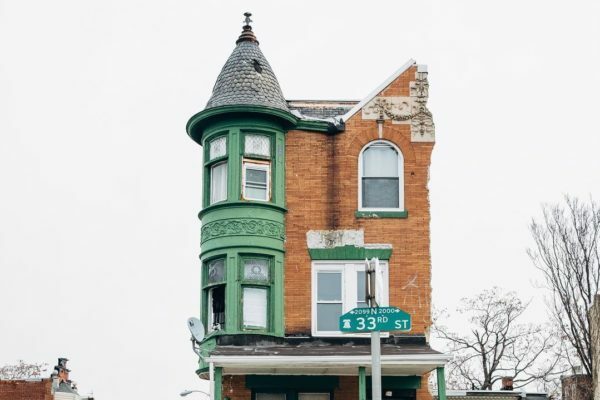 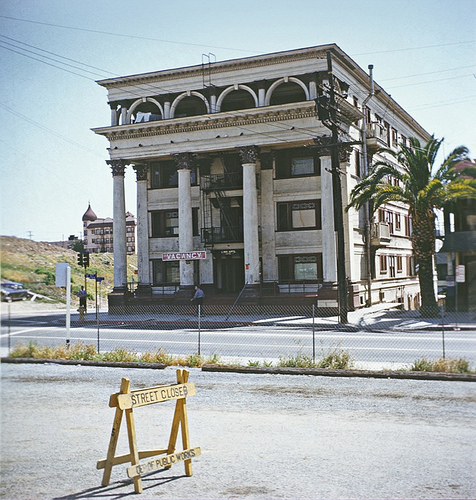 The once thriving leafy hilltop suburb was a symbol of urban decay that discouraged new investments. 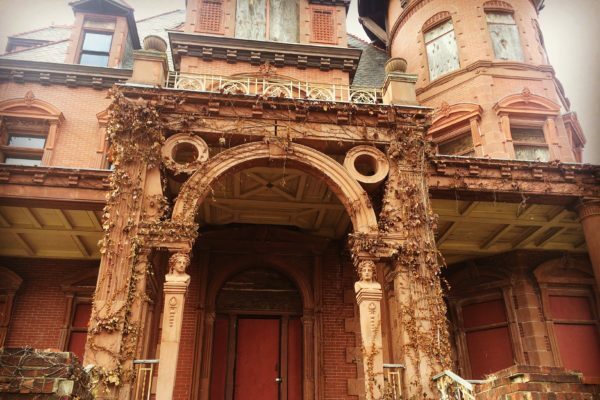 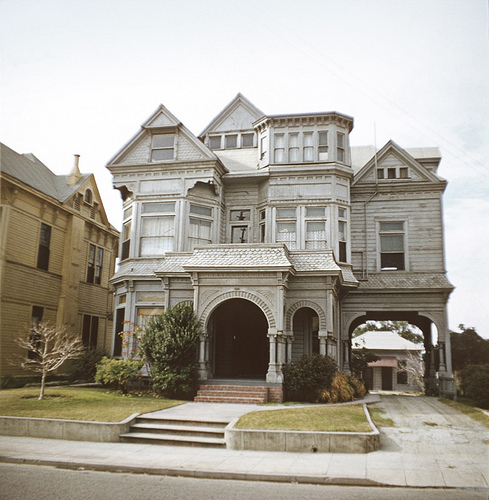 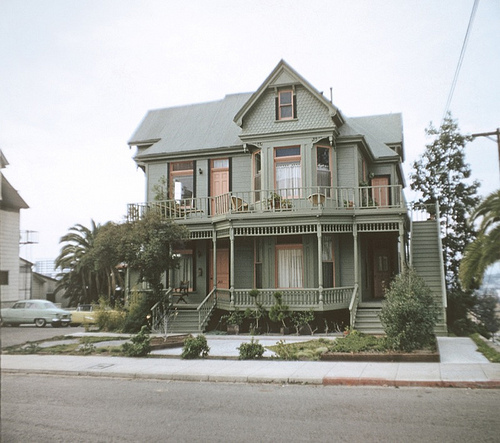 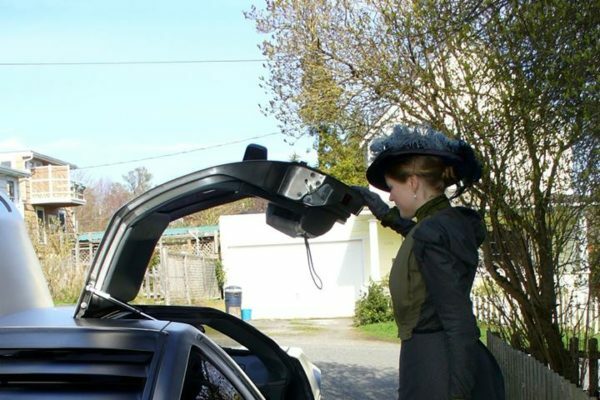 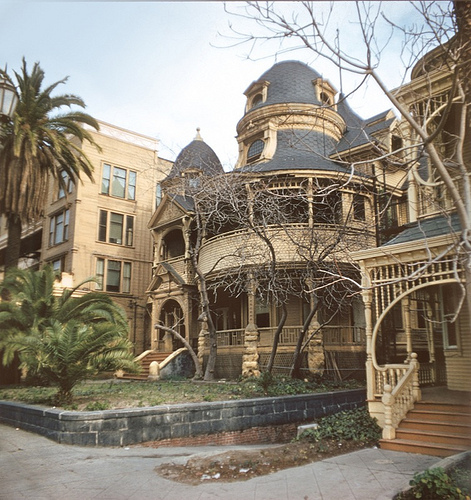 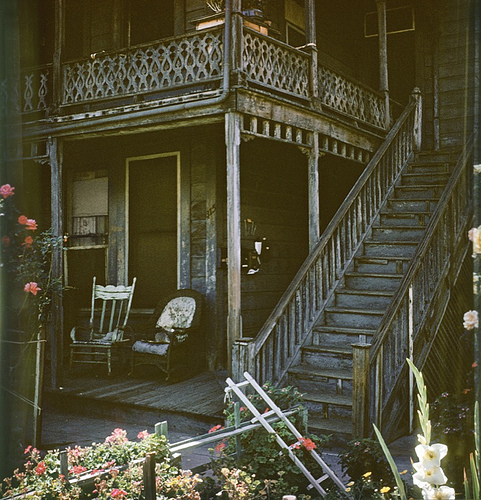 After the Great Depression, the grand old Victorian mansions were run-down and being used as cheap apartment hotels. 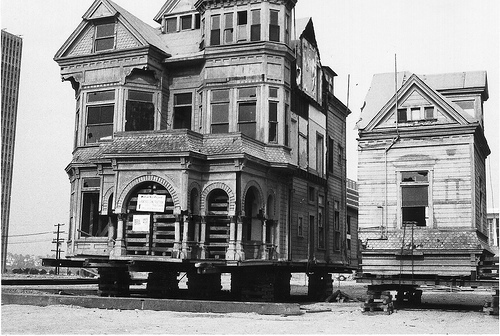 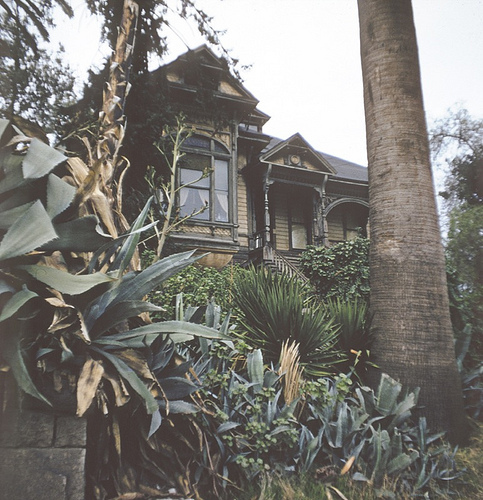 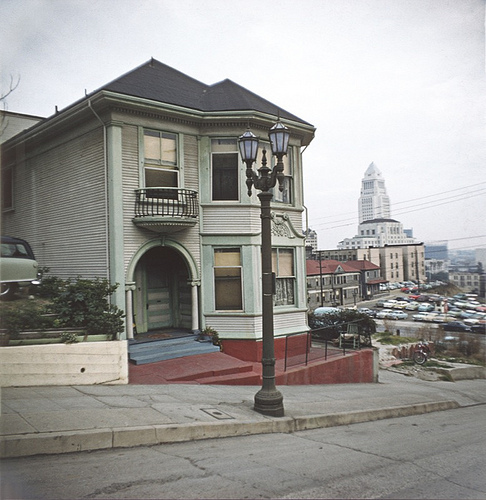 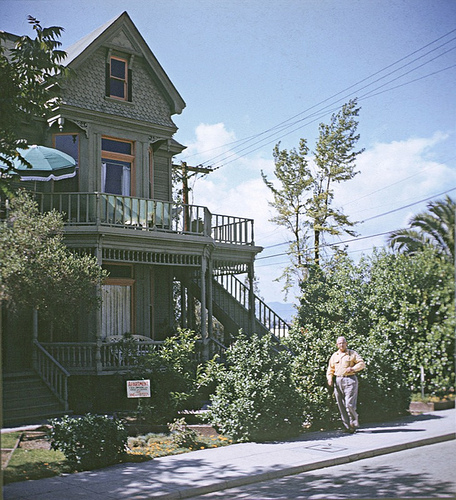 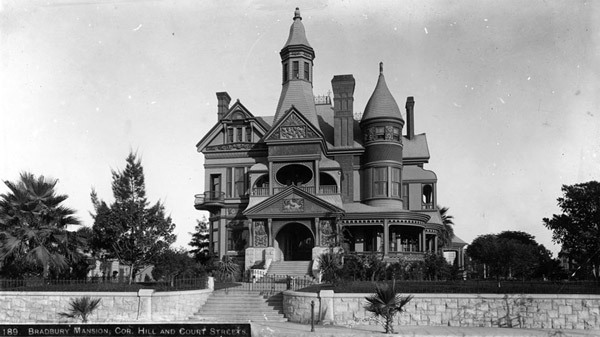 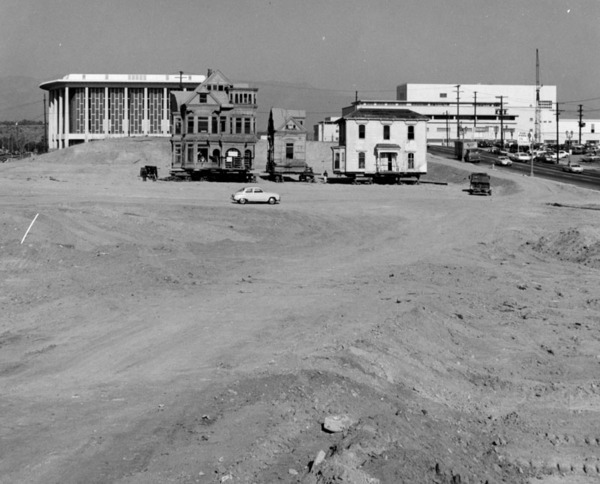 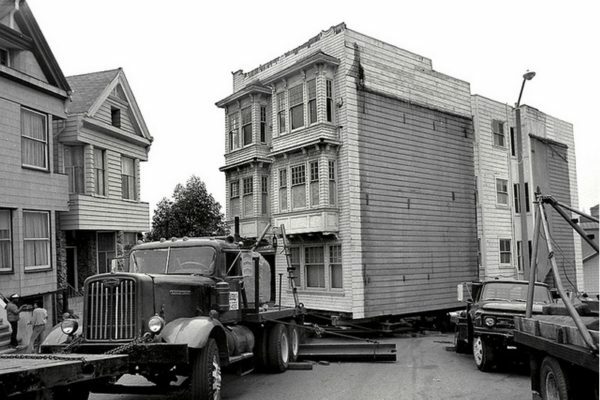 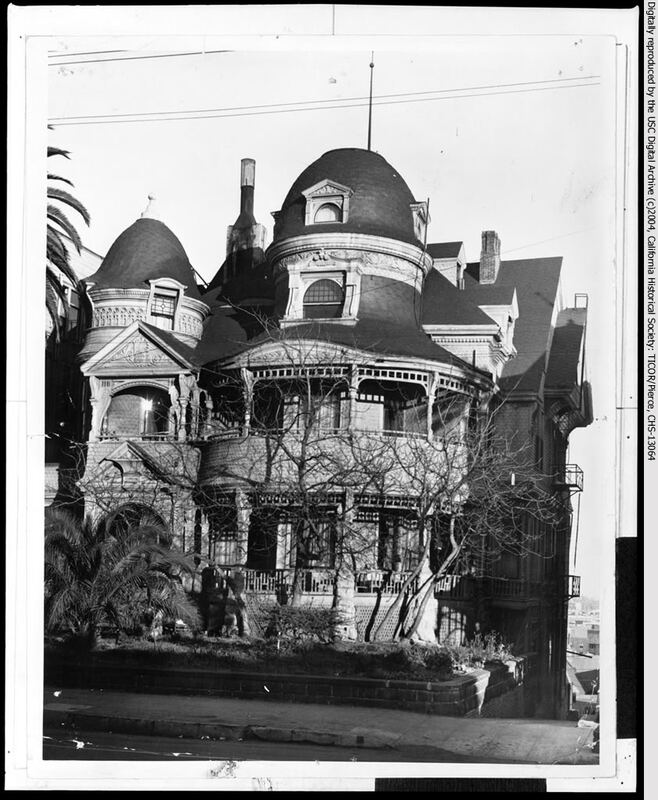 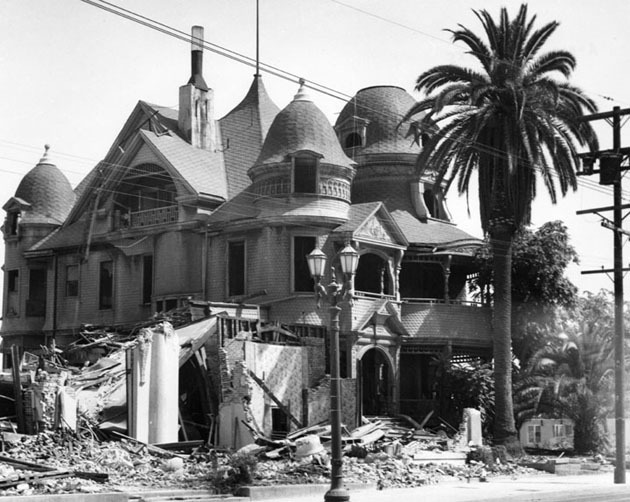 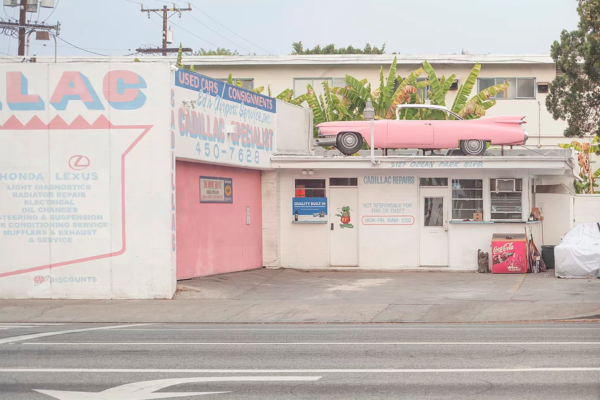 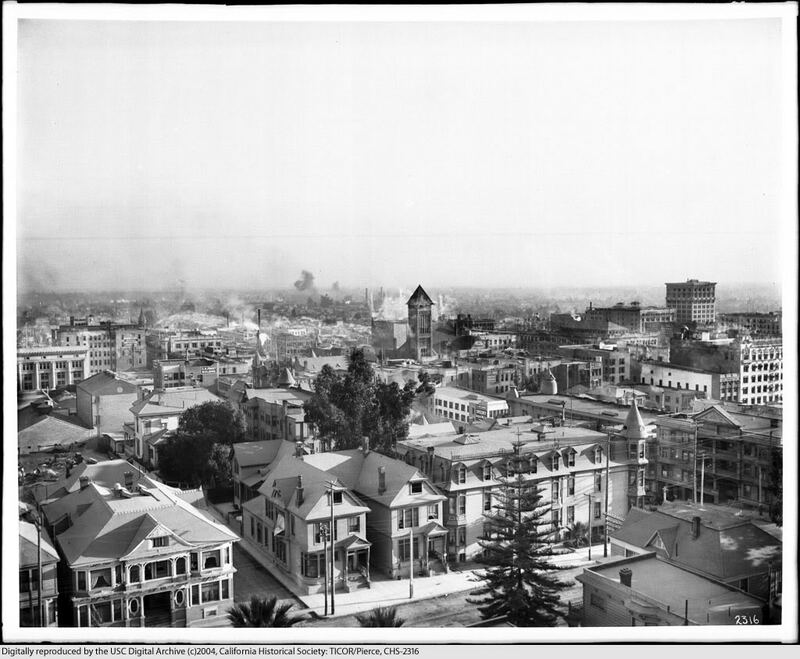 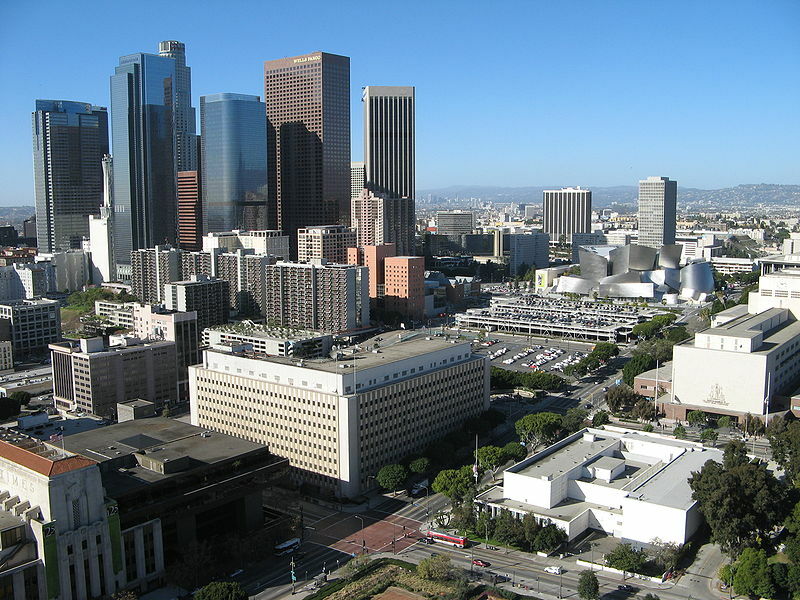 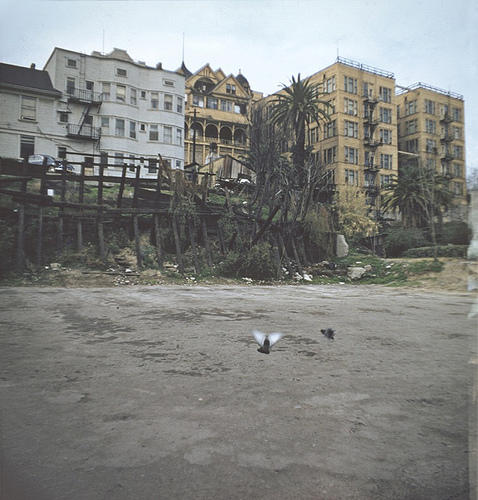 In the 1950s, the Los Angeles Community Redevelopment Agency came up with a drastic redevelopment plan for the entire Bunker Hill area and by 1968, every last Victorian home of Bunker Hill Avenue had been demolished. 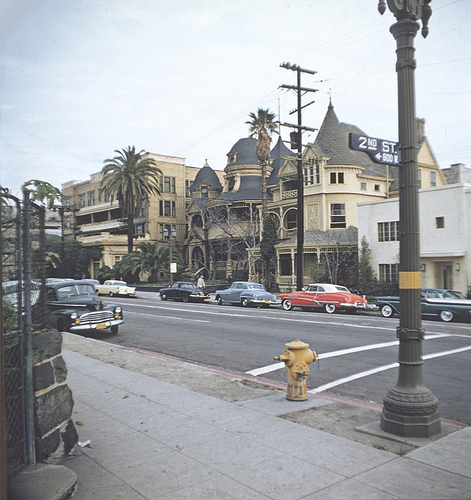 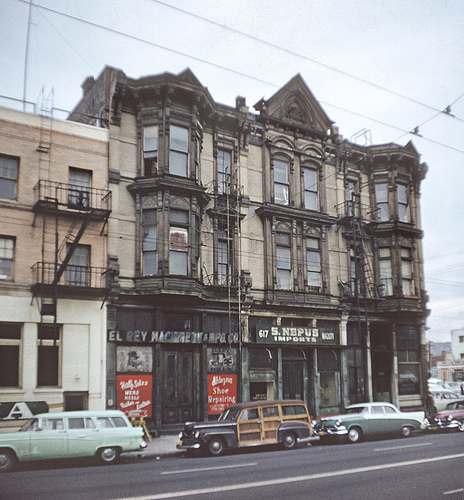 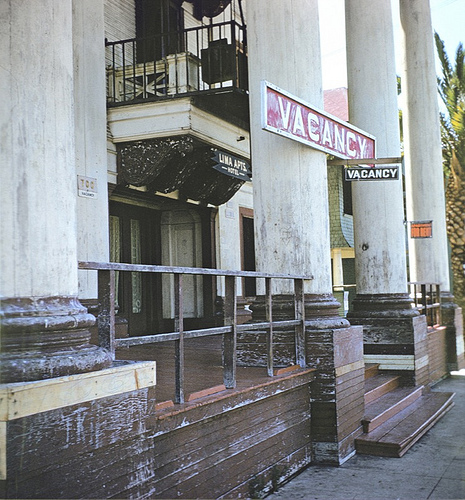 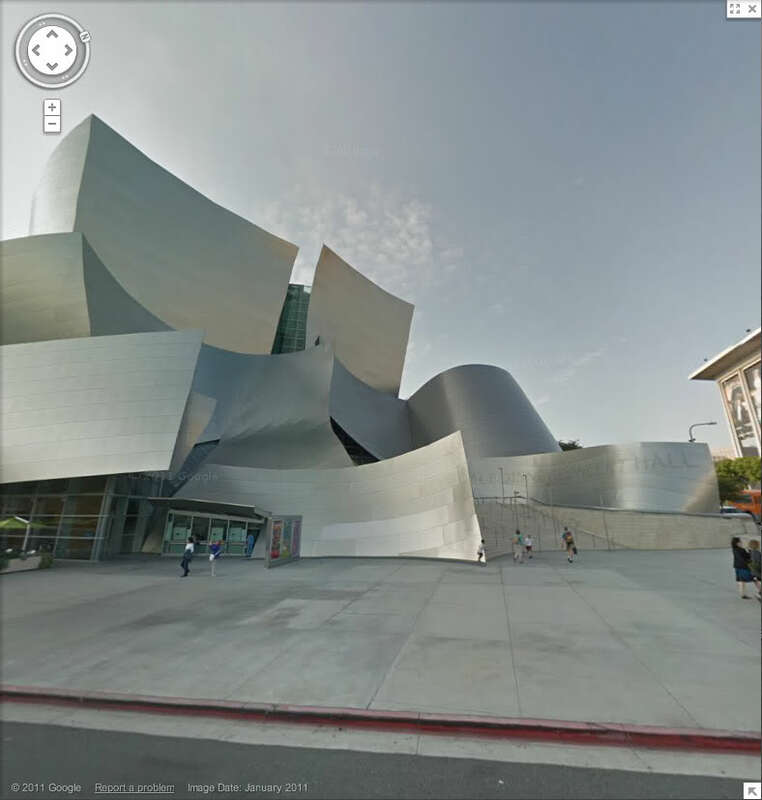 Just to get your bearings here, if you could stand on the front porch of the Melrose Hotel today, you’d be looking at this building across the street, the Disney concert hall. 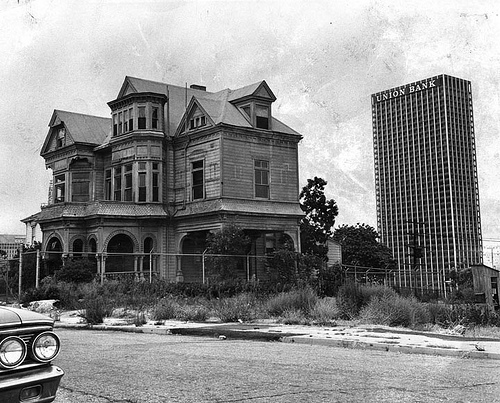 If you have a good enough imagination walking around downtown LA, perhaps you might be able to visualise the ghost of Bunker Hill.